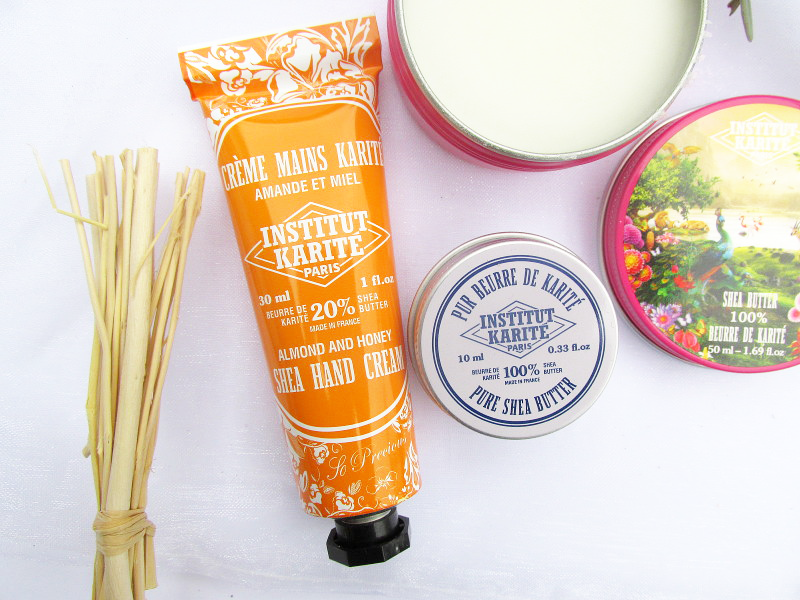 Institut Karité Paris is a brand which focuses largely on the main ingredient of shea butter, and was the first French brand to solely use it in all of their products. Instead of packing in as many 'good' products as possibly, they keep it simple, go back to basics and focus on the benefits of this one, hydrating ingredient; I absolutely love this about the brand. The moisturising shea butter combined with subtle floral fragrances within their body range makes these products not only beneficial to your skin, but adds a hit of feminine, Parisian chic to the often unglamourous task of keeping your limbs hydrated. All of their products have organic, natural traces. Everything from where shea butter is sourced to how it is produced to be used in their beauty products is detailed on their website; something which just reflects their values further. There's a reason Institut Karité focus so much on shea butter- the miracle ingredient is renowned for moisturising any part of the body (from limbs, to hands, to lips), can be used as an aftershave on irritated skin, is rich in vitamin E (known for anti-oxident and anti-ageing properties often used in facial skin-care) and has many soothing properties which makes it great for relaxing muscles with a massage. There's no wonder their products feature it so much...that's a lot of power in one ingredient! 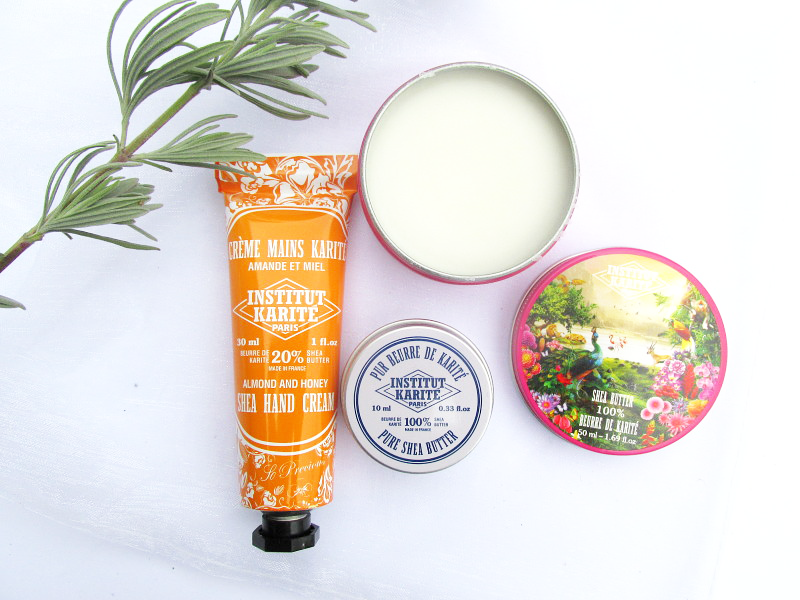 The shea hand cream is an absolute pleasure to use. It's the perfect size for popping in your handbag for on-the-go bursts of moisture and comes packaged in the most gorgeous tube; very much in line with Parisian elegance and reminds me a lot of L'Occitane. The rich almond and honey fragranced formula is delicious, and doesn't leave your hands feeling greasy at all. It absorbs fast to leave chapped hands feeling nourished and protected. 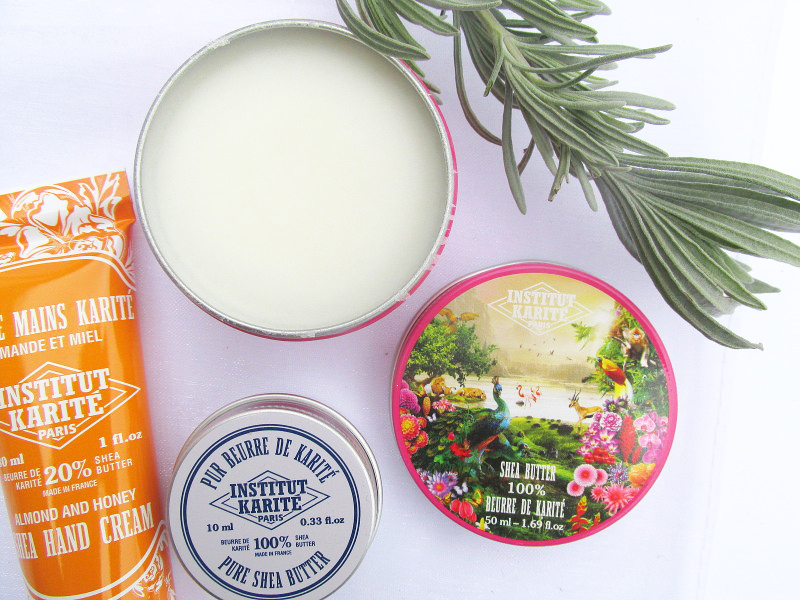 Available in other scents (rose, lily of the valley, lavender, verbena and also unfragranced), this hand-cream has become my must-have when my hands need a little pick-me-up. The tins of 100% pure shea butter are also great for massaging onto cuticles (mine get very dry and sore due to dermotillomania- or skin-picking), and have found the smaller tin also doubles up as a great lip balm that leaves a very lightweight barrier to hydrate dry lips. This brand is certainly one to watch- incredibly chic and luxurious packaging, a focus on natural shea butter and it's wonderful hydrating properties, and a fantastic price-point...the hand cream costs €7 (just over £5) whilst the tins of pure shea butter work out as just under £5. Whilst they are available across Europe, I don't think Institut Karité is stocked in the UK, but everything is available online (as usual!). Do you swear by shea butter? 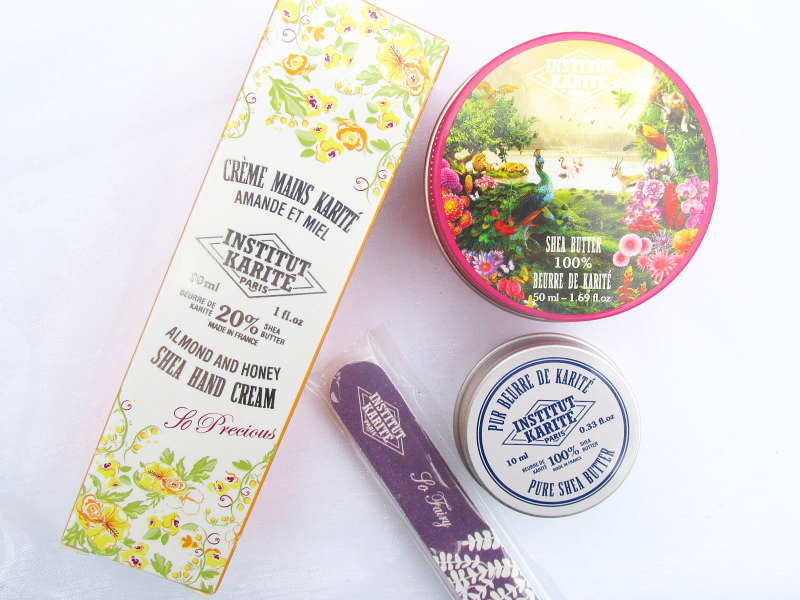 Are you in love with the beauty of this packaging too? Hi- it is quite thin, a bit like vaseline in texture. I haven't tried any other products other than the ones in this post.